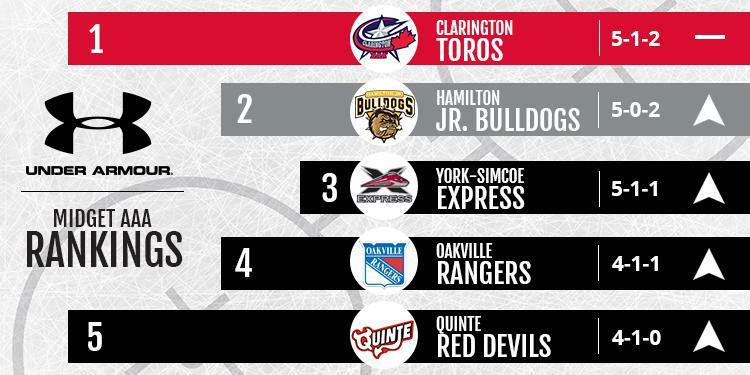 The Ontario Minor Hockey Association has released the third edition of the Minor Midget and Midget AAA Top 5 Rankings powered by Under Armour for the 2018-2019 regular season. These rankings will be released on a bi-weekly schedule. Teams are beginning to separate themselves from the pack but there's still lots of season left. Here's some of the teams making a name for themselves. 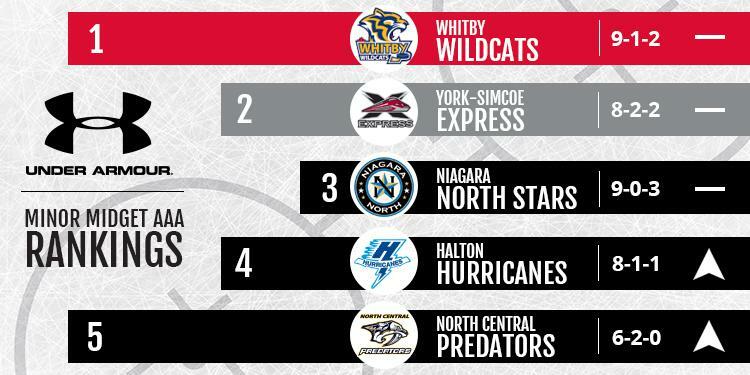 With a handful of victories over the last two weeks the Wildcats, Express and North Stars are starting to create some distance in the standings. The Hurricanes climb up a spot with four wins while the Predators re-enter the top five. Nathan Zadorozny (Niagara North Stars) - Quickness and precision are a couple attributes that define his game. Zadorozny is a smooth skater that can change directions quickly while maintaining great puck control. This opens up a lot of space in the offensive zone. He then has his head up, learning where his teammates are. At this time he allows his skill to take over, making precise passes through tight passing lanes, often setting up his teammates for easy open net goals. Zadorozny has strong hockey sense and will be tough to defend for any team that goes against him. Nathan Raymer (Ajax-Pickering Raiders) - He skates and competes well in all three zones. He is tough to contain as he is always moving his feet. Without the puck, Raymer goes hard on the forecheck, often creating separation and puck possession for his team. 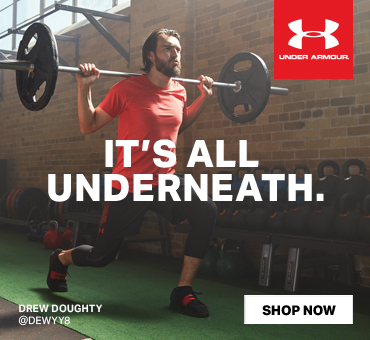 With the puck, he is a danger to beat a defenceman wide and drive the net. Defensively he is often low, supporting his defence and puts himself in good position to jump on loose pucks and transition into offence. The Toros hold on to the top spot but there are a number of teams right on their tail. The top five is a crowded place as a number of teams have got off to a hot start. These next few weeks will be crucial in separating themselves from the pack. Ryan Baily (Clarington Toros) - The Toros goalie has been nothing but sensational so far this season. This was highlighted by back-to-back-to-back shutouts. 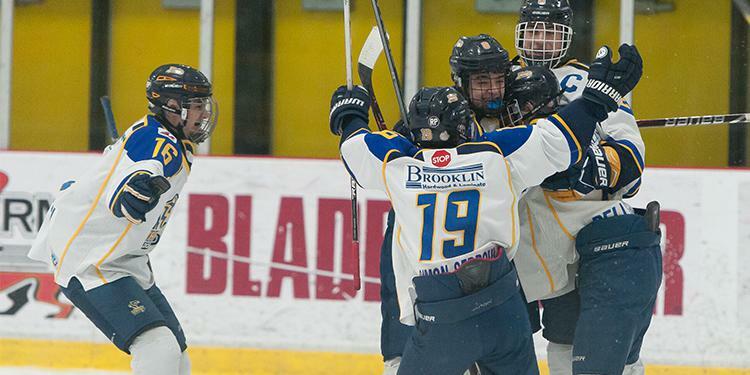 Baily has been a key contributor to the Toros early season success and a large reason they find themselves once again at the top of the Midget Rankings. Baily moves very well side-to-side and has shown a strong ability to control rebounds early in the season. Jacob McEachern (Hamilton Jr. Bulldogs) - The first year Bulldog has been a pillar of hard work and is a lead by example type of player. McEachern is noticeably the first player in on the forecheck and shows relentless hustle to retrieve loose pucks and find open players in the offensive zone. His work ethic is second to none on a very strong Bulldogs team.